HONG KONG -- Two heavyweight investors say Apple should do more to combat iPhone addiction among young people. 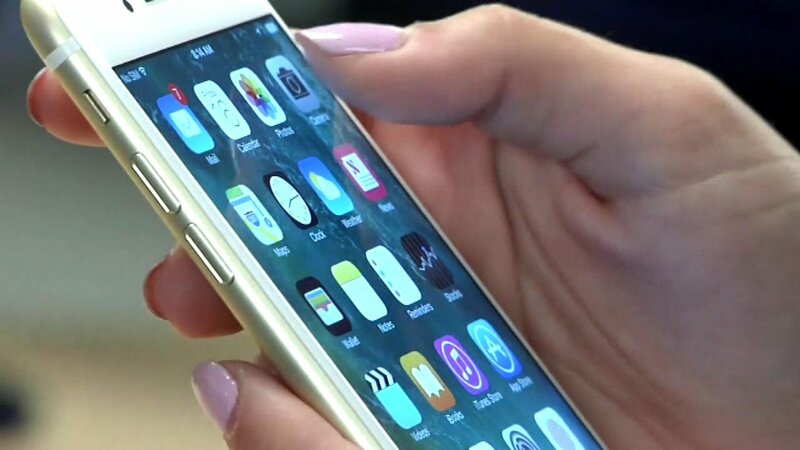 California State Teachers' Retirement System and Jana Partners -- two major funds that own about $2 billion in Apple stock between them -- are pressuring the tech giant to take a stronger stance on the mental health effects of excessive smartphone use by children and teenagers. The investors pointed to a number of studies highlighting the detrimental effects of smartphone addiction. They include being less attentive in class, insufficient sleep and a higher risk of depression and suicide. In an open letter posted online this weekend, the two shareholders called on Apple to set "an example about the obligations of technology companies to their youngest customers." They want the company to add more sophisticated parental controls to its devices limit the time children can spend on them and what content they can access. The letter calls for Apple to research and develop more sophisticated parental controls for phones, criticizing what's available at the moment. "Apple's current limited set of parental controls in fact dictate a more binary, all or nothing approach, with parental options limited largely to shutting down or allowing full access to various tools and functions," it says. A high-level executive should track Apple's progress in the matter and issue a report on it each year, the letter proposed. It's an unorthodox campaign for investors to adopt, but the two funds say addressing these issues now could benefit Apple and its shareholders in the future. California State Teachers' Retirement System, known as Calstrs, and hedge fund Jana manage hundreds of billions of dollars between them. But how much clout the pair will have with Apple financially is uncertain, given the relatively small value of their shareholdings. Apple's total market capitalization is almost $900 billion. The funds do, however, have some high-profile names backing their cause. Jana said it had set up an advisory board on so-called impact investing that includes rock star Sting and his wife, Trudie Styler. Impact investing seeks to make a profit while bringing about positive social change. Apple didn't immediately respond to a request for comment on the matter outside of regular business hours. The tech company's shares have gained roughly 50% in the past 12 months, significantly outperforming the broader S&P 500 index. Jana has had success with activist campaigns in the past, although these have focused on boosting its investments' bottom line. As an investor in Whole Foods, it publicly pressured the retail chain to improve financial performance and shake up its board. Shortly before Whole Foods' sale to Amazon for $13.7 billion last year, CEO John Mackey slammed Jana as "greedy." Tech companies have shown a willingness to change their products to accommodate parents' concerns. Facebook released a new version of its messenger app last year that's suitable for children aged 6 to 10.